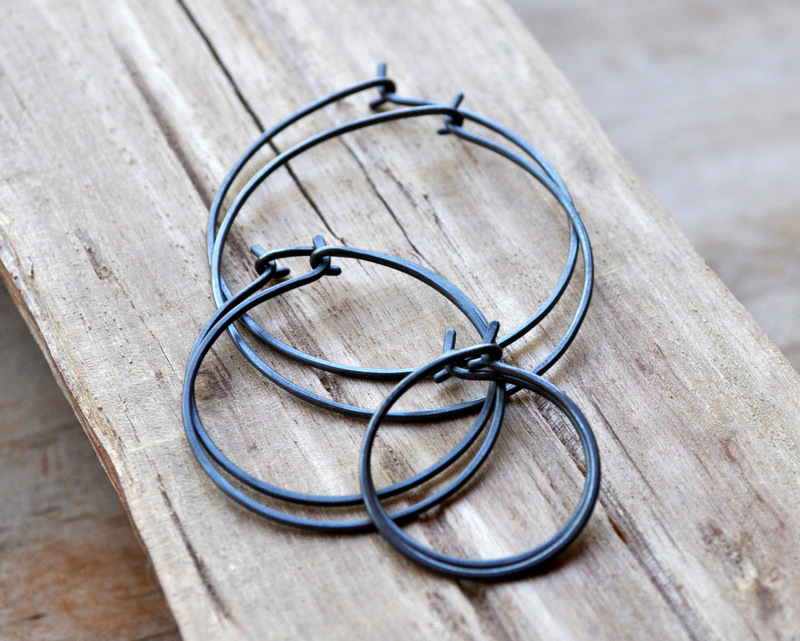 I’ve had the regular small, medium, and large silver hoop earrings in my shop for many years, and they are consistently popular. 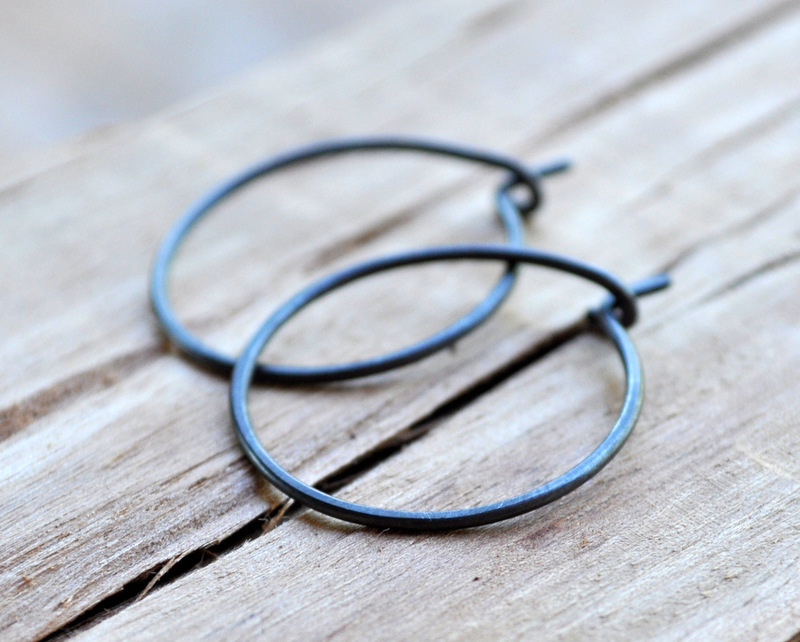 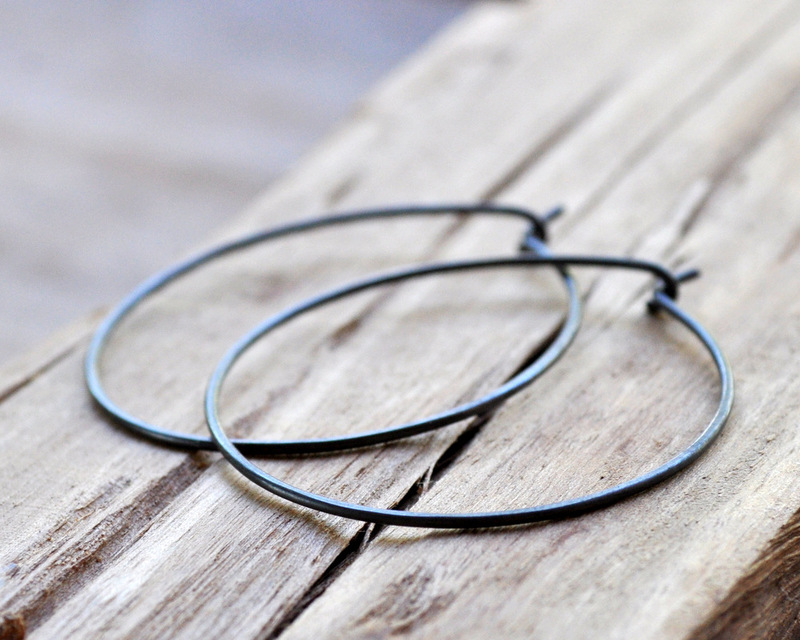 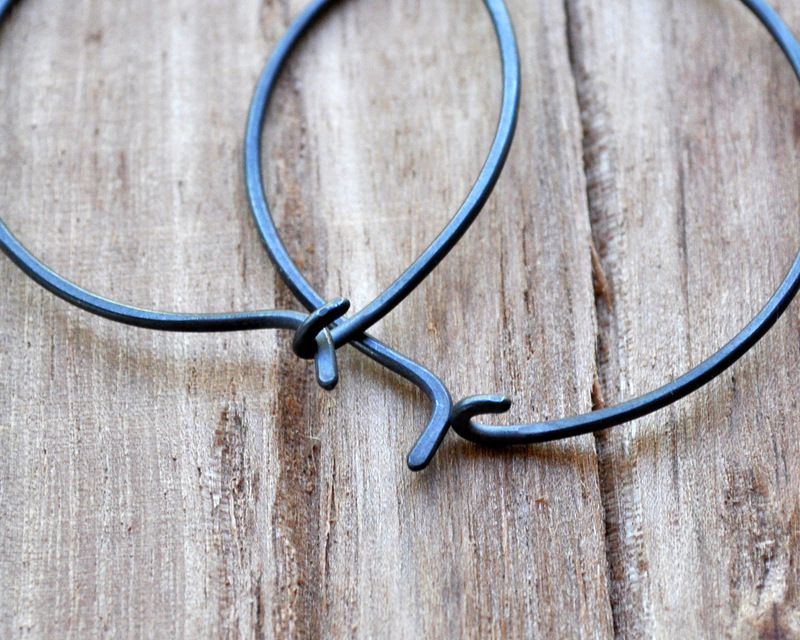 So, I thought it was time to make them available in an oxidised finish, too! 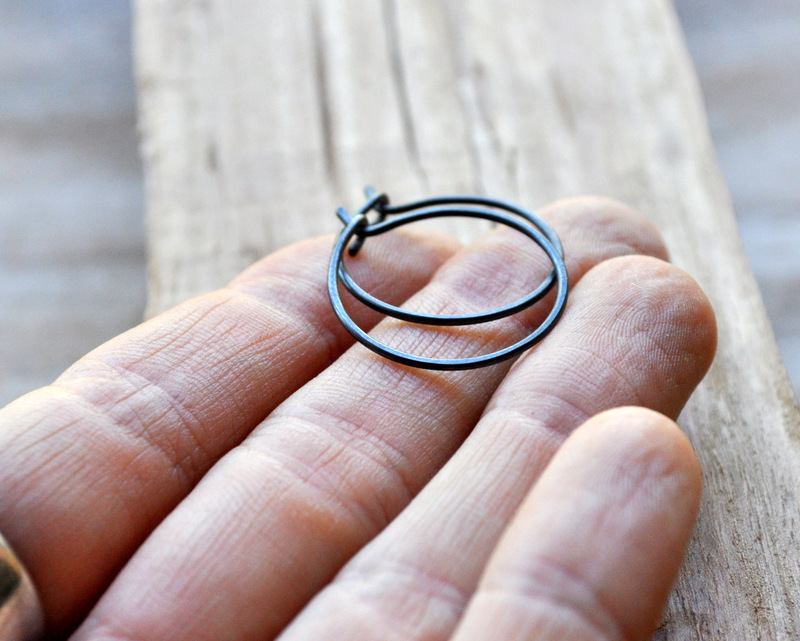 In the photo below you can see a close-up of the clasp – the same one I use for all my hoop earrings. 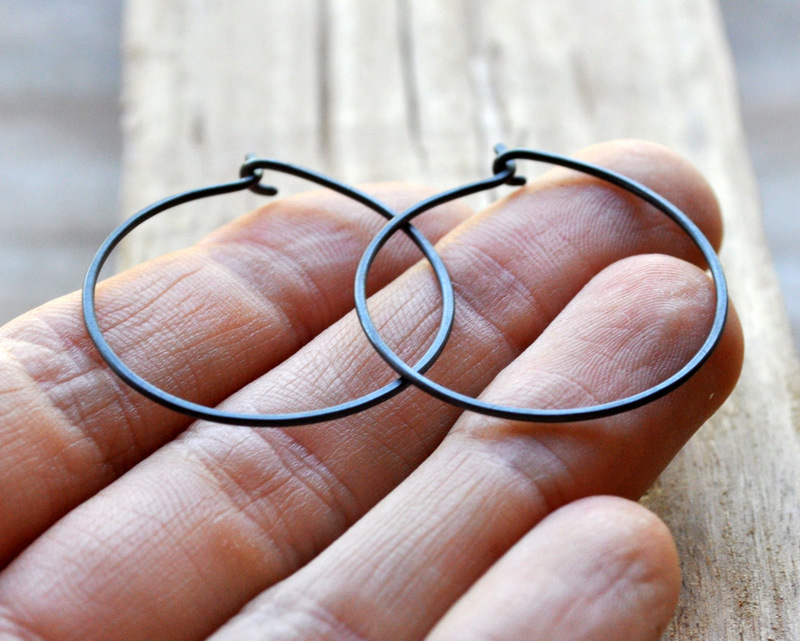 I’ve personally worn the small ones non-stop for a few weeks at a time in the past – they’re secure and comfortable enough to sleep, shower, and live in! 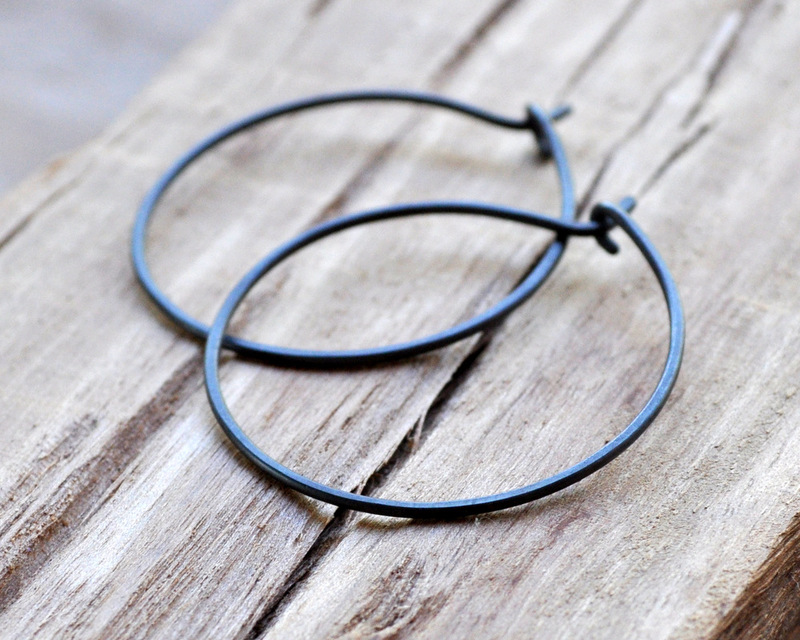 Definitely a great choice as a pair of ‘put on and forget’ earrings for those times when you just want something simple, classic, and easy to wear… that’s got a little more ‘oomph’ than a set of traditional sleepers. 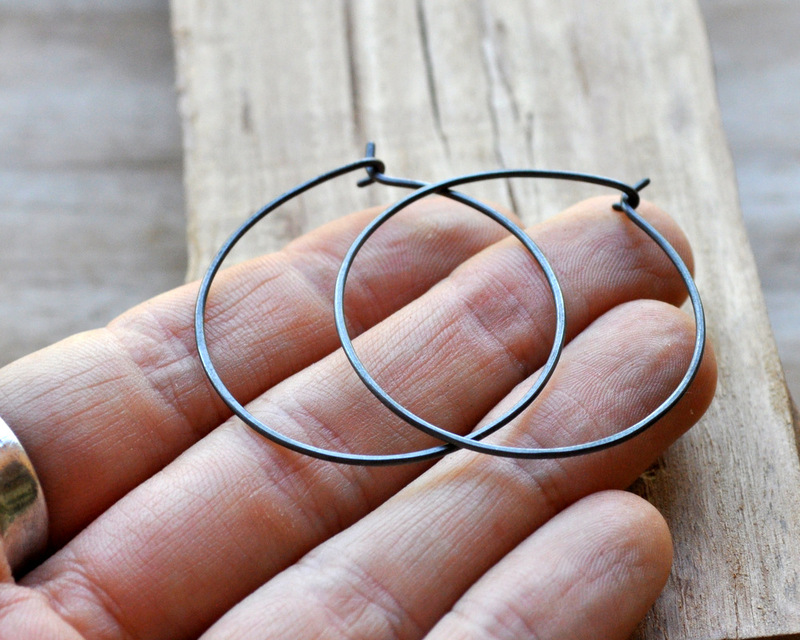 And, of course, they’re handmade by me from 100% recycled sterling silver, as are all of my earrings, rings, and pendants.